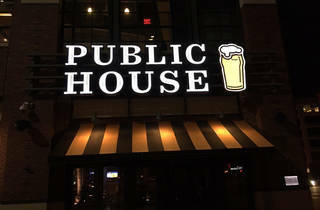 The absolute closest watering hole to AT&T Park—in fact, it’s actually connected to the stadium—is Public House. A high-end sports bar option from chef Traci Des Jardins, Public House has 26 TVs and 21 beers on tap, most of which are local brews like Bear Republic Racer 5, Almanac Blueberry Jack, and Faction Alternative Facts Session IPA. The food is upscale pub grub: think pork belly potato skins with chipotle aioli and salsa verde; a tri-tip cheesesteak sandwich with gouda, poblanos and onions and spicy pulled pork sliders with cabbage-onion slaw and fried pickles. 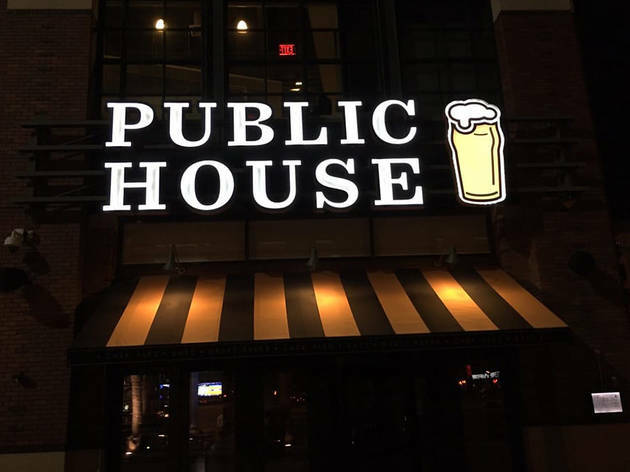 If you've got tickets to a game, grab a plastic cup of your favorite draft beer before using Public House’s secret entrance to get into the stadium.